Two collections of pictures from Sweden are brought together on this page. The earlier ones were taken when I visited Stockholm University to speak at the invitation of their Institute of Botany. 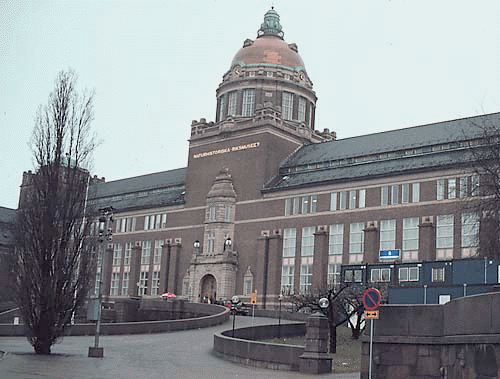 The later ones were taken when I visited Göteborg University and Stockholm again at the invitation of the Royal Swedish Academy of Sciences. On the second trip I also had the opportunity to visit the Tjärnö Marine Biological Laboratory in Strömstad on the Swedish west coast. All photos below are © R.J. O’Hara. Naturhistoriska Riksmuseet — The Royal Museum of Natural History in Stockholm, adjacent to Stockholm University and the Royal Swedish Academy of Sciences, is one of the great natural history museums of the world. Glacial Striae — Scoured bedrock on the campus of Stockholm University. 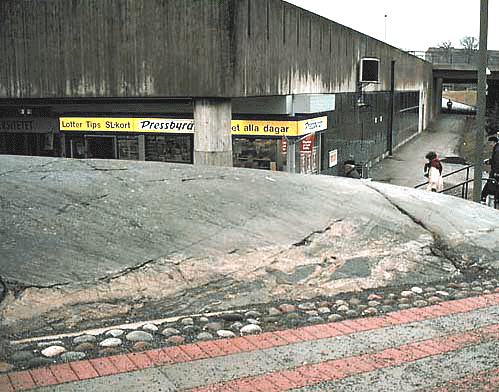 The deep scratches were made thousands of years ago when glaciers covered the Stockholm region and flowed as rivers of ice over the underlying bedrock. 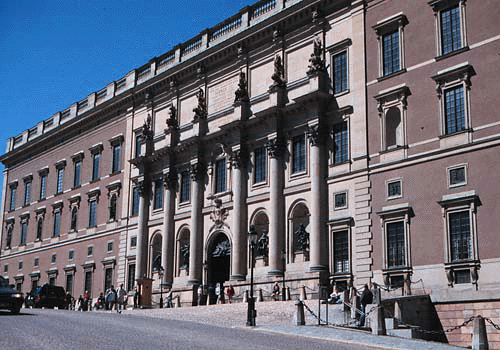 Royal Palace — The Royal Palace in Stockholm, official residence of King Carl XVI Gustaf and the Swedish royal family. 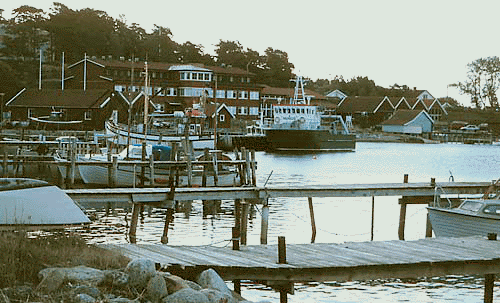 Tjärnö Marine Biological Laboratory — Jointly administered by Göteborg and Stockholm Universites, the Tjärnö Laboratory in Strömstad is one of the most important marine research stations in western Europe. 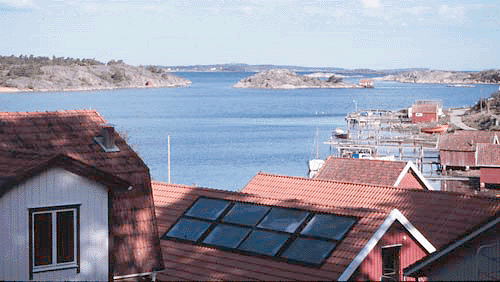 Tjärnö Marine Biological Laboratory — Looking out from the Tjärnö Laboratory onto the Koster Fjord. 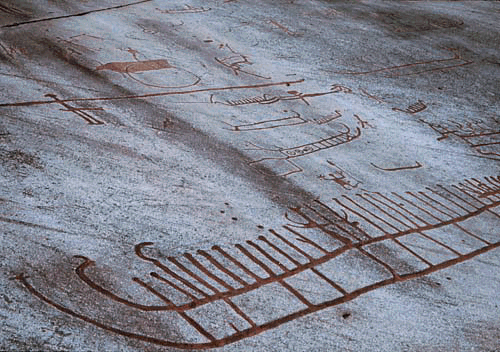 Bronze Age Rock Carvings — These granite carvings at Vitlycke in Bohuslän province just south of Strömstad are a UNESCO World Heritage site. They are approximately 3000 years old.